The purpose of this article is to discuss some discrepancies you may have noticed after the transition over from our old Reports system to the new Statistics system. This will be a technical look at what has changed to explain the reason behind any differences. 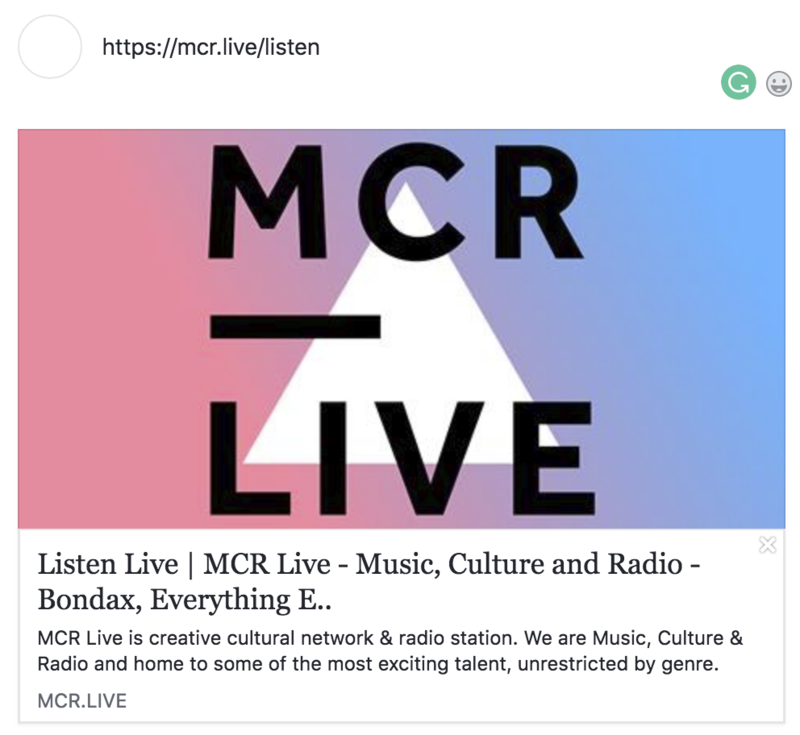 When a listener connects to your station, they start a connection to your station to begin receiving the live audio stream. The very first thing that happens is the listener's device identifies itself to our system, by giving us some information about the device. At this point, the listener shows up in the Reports section. After this happens, usually the listener will then hear the station, as we begin to send the audio stream to their device, which then plays it as expected. However, in some cases depending on what it is that connects, the audio stream may never be sent. This can happen if the "listener" that connects to your station isn't actually a human. Facebook generates this preview by "crawling" your website. Essentially, this means that Facebook's robots look at the website you've posted a link to, and checks everything on that page. If a Facebook robot sees a player on your page or a streaming link, then it will try to access it to see what's on there. As described above, this will create a listener connection as Facebook has accessed the link and sent us some information about what it is. The Facebook bot will count as a listener in your Reports, however, it will never actually tune in and listen. This is just one example of how an illegitimate (or spam) listener can show up in your Reports, creating a false representation of your true listenership. This applies to any bot - Google, Facebook, Twitter etc. Even submitting your station to some directories will cause this behaviour, as they may check periodically to see if your stream is still active so they can clean up any old stations from their services. Similarly, some devices create multiple connections per listener session. Some mobile devices, for example, will start the connection to your station using one service running on the phone (a background process), and then when the audio stream begins to be received, the phone will then use a different service to handle the stream and play it. This happens very quickly but creates multiple connections, and some poorly coded devices or applications that tune in to the station create many connections when starting to tune in. Another scenario is that the listener lands on your website where an auto-playing stream is. If the listener instantly tunes out if they didn't want to tune in in the first place, we also filter this out from the Statistics system, as the listener wasn't legitimate. The required time frame for a listener to be counted is 10 seconds, which addresses all of these issues. This effectively filters out listeners who didn't mean to tune in and bots that aren't listeners at all. Bots and spam connections are the main reason for inflated listener figures. How will this affect my station? As you can see, the graphs are quite different in shape, and the listener figures reported at the top are completely different. The top graph from our old Reports section shows you a large portion of Total Listeners are coming from France using a "Java" platform, whereas this isn't shown at all in the Statistics graph. This shows that there is a listener using a poorly coded device to listen to the station and is spamming our stream. As a result, this is not an accurate representation of our listenership. You can clearly tell when this listener leaves the station by the huge dips on the graph which isn't visible in the new Statistics. This is just one example of how the new Statistics will benefit your station. At face value, it looks like we've lost over half a million total listeners. However, it's important to note that these were never actually real listeners. This is why these connections have been filtered out and are not shown, as in reality there's only one person listening to account for all of those connections. Overall, there are a few key things to take away from this article. 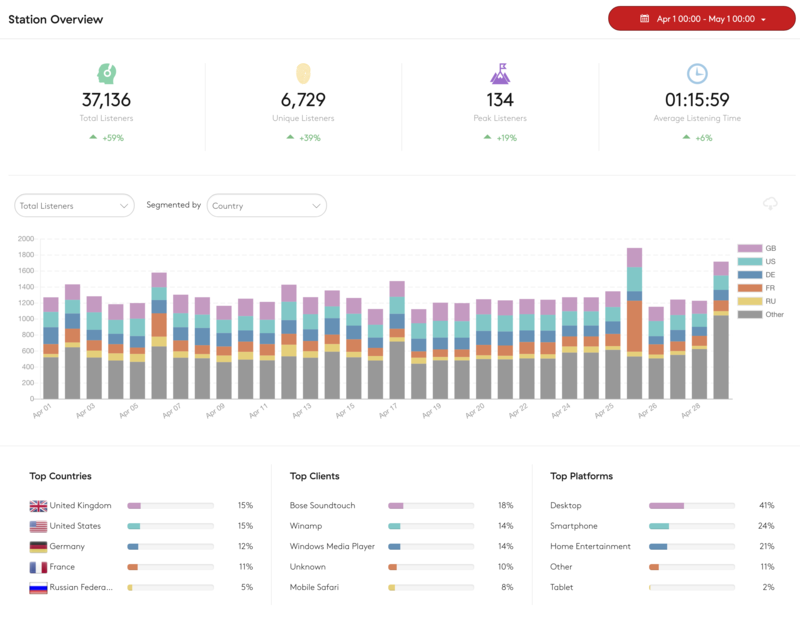 The main thing is to remember that if you've seen a big drop in listenership, then this is because the listeners were never actually there, these were bots, duplicate connections or spam. 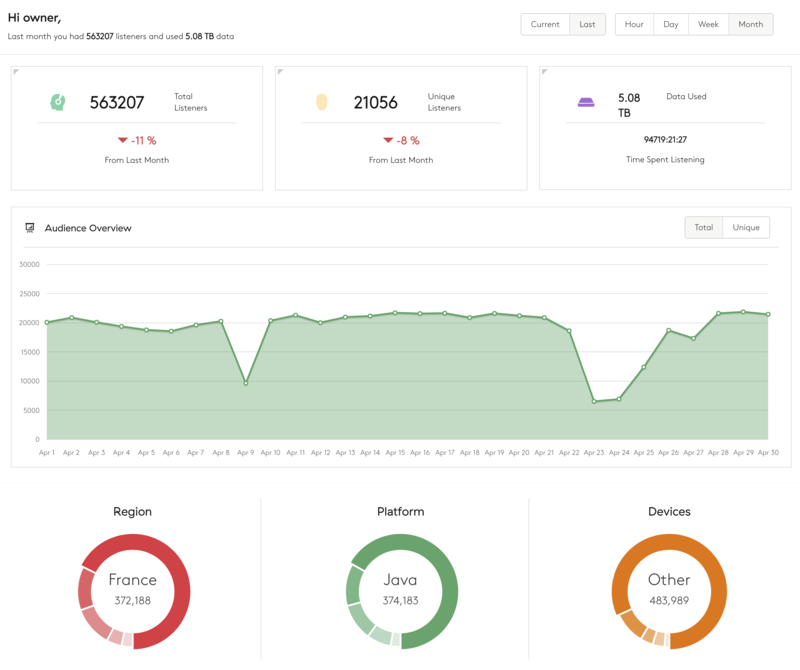 The next thing is that the new Statistics system is far more reliable, accurate, and provides much more actionable data which will help your station grow. The data our new Statistics provides is far more helpful than before. This will help you target listeners more directly and get accurate information on listener behaviour so you can learn what works best when managing your station.